When your novated lease period is up, what happens is very similar to any other vehicle ownership arrangement: you can choose to upgrade to a brand-new car, end the lease and walk away, or keep the vehicle and renew your lease agreement. If you love the car but your circumstances have changed, you can even buy the vehicle outright. The biggest advantage of novated leasing is that whatever you choose, Smartleasing takes care of all the arrangements. Your car has served you well but it’s time for a shiny new one. The best part about novated leasing is you can enjoy that new-car thrill every few years, without the hefty outlay. All you need to do at the end of the previous lease is decide which car you fancy and the Smartleasing team will get back to you with a quote. We’ll even organise test drives for you and take care of all the paperwork. We’ll sell your old car on your behalf through our Vehicle Disposal Membership, organising professional photography and a full mechanical assessment. With Smartleasing you’ll be cruising in a sparkling new set of wheels in no time. So you love your car, it’s an extension of your family and you can’t bear to let it go. No problem. 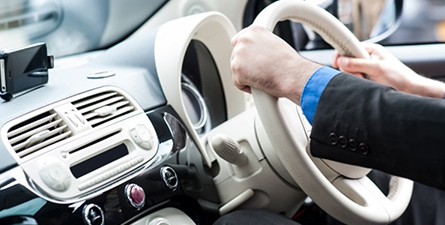 The leasing term is over but that doesn’t mean you have to hand the vehicle back. You can refinance by starting a new lease and continue enjoying all those great tax savings. It’s a simple administrative process and you won’t be off the road for a second. Easy. 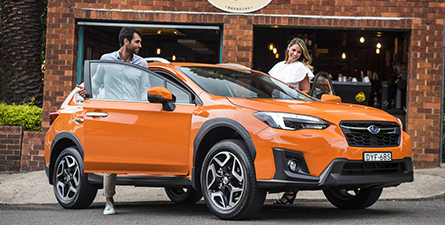 Because the car is older and you’ve paid down the loan, you may even enjoy a lower monthly leasing fee, saving you even more in the hip pocket. Novated leasing has been fantastic. You’ve enjoyed driving a great car with all the bells and whistles at minimal expense. You’ve also loved the tax savings, but your circumstances have changed. Perhaps you’re moving to a new job or your driving habits have changed and novated leasing no longer suits your needs. The only problem is you really love the car and you don’t want the headache of handing it back and finding a new one. Don’t worry – you can buy the car outright and take over the associated running expenses. All you need to do is pay the residual amount owing (your licence fee would have chipped away at the purchase principal). The best part is you will always know how much you owe from the outset because the buy-out price is set by the financier at the beginning of the lease, in accordance with ATO guidelines. So while it might seem complicated, the end of a novated lease couldn’t be simpler. Counting your savings might be the hardest part! Make the move into your next car a seamless one with the Vehicle Disposal Program, our professional vehicle sales service. While we do the legwork, you’re kept fully informed, right down to having the final say on the sale price of your car.